There is still some confusion surrounding the differences between a power of attorney and an executor of estate. Despite some similarities, these legal terms serve different purposes. This article aims to differentiate the two. A power of attorney (i.e. POA or letter of attorney) is a legal documented which is created to authorize a person to act on someone’s behalf. The person who initiates a POA is called the grantor, donor, or principal. The person who is granted the authorization is called the agent or attorney-in-fact in certain common-law jurisdictions. A POA allows an agent to perform legal matters, private affairs, and business affairs on behalf of the principal. The agent holds an ethical and legal relationship with the principal, thus the law requires this person to be loyal and unquestionably truthful to the principal in all aspects of their dealings with each other. The law does not require the agent to be an attorney; in fact, the principal may appoint a spouse, trusted friend or relative, or adult child to be his agent. Although the principal determines the extent of the power given to the agent, it is crucial to appoint a trusted individual as the agent’s actions are legally considered those of the principal’s. Moreover, the courts do not regulate a power of attorney, which leaves the authority open to abuse and misuse by the agent. 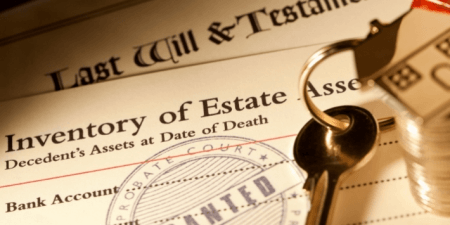 An executor of an estate is a legally appointed individual who is given authority to carry out specific instructions contained in a will, particularly pertaining to estate management. An executor may either be appointed or nominated by the creator of the will, also called the testator. While an executor is not required to be a financial or legal expert, the law makes it clear that this is a fiduciary duty, which means the executor must hold the complete trust of the testator and act in good faith and total honesty on behalf of the testator. An executor’s authority ends with the issuance of a court order or upon his voluntary resignation. Most importantly, the duties of an executor end when all estate debts have been paid off and when the property has been lawfully distributed to the beneficiaries. So what’s the difference between a power of attorney and executor of an estate? While both terms involve acting on behalf of someone, they are not interchangeable. A power of attorney is a legal document created by a testator authorizing an individual to perform actions on the testator’s behalf. An executor of an estate is a person with a legal mandate to carry out instructions as contained in a will. A POA is usually drawn up by a principal and assigns an agent who can wield the authority only if the principal is alive. In contrast, the person who creates the will and picks an executor is called a testator. The executor can only perform his duties when the testator passes on. In a power of attorney, an agent can only perform functions as outlined in the document. An executor can perform actions just like the testator would. An agent’s authority can be revoked by the principal in a power of attorney, while an executor’s authority can be ended by virtue of a court order and when all estate debts are paid off and the estate is lawfully distributed to its beneficiaries.